A huge hit last year is this small batch soft caramel that is combined with steamed organic pumpkin and our house-blended spices. 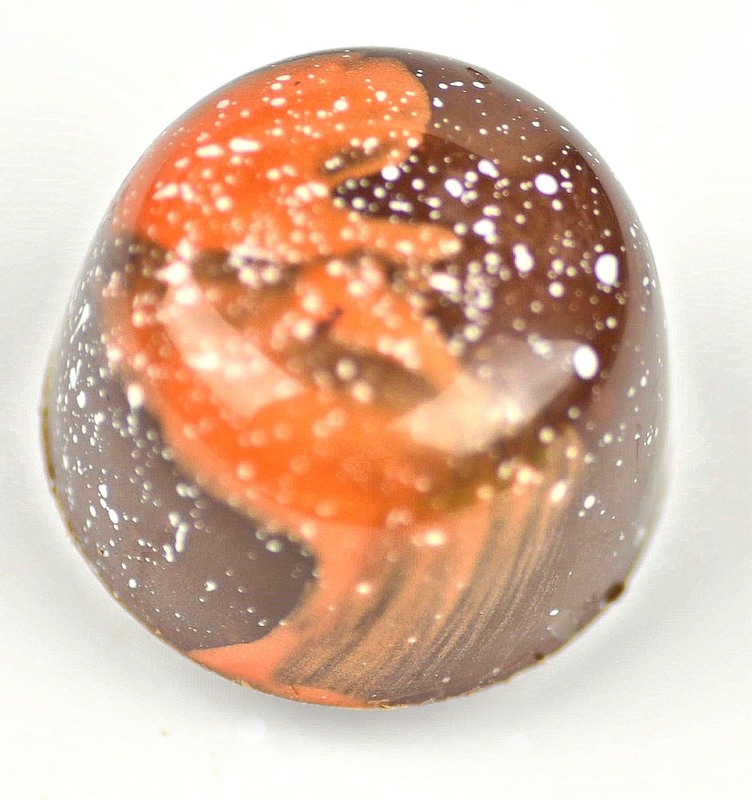 The caramel is combined with a bit of white chocolate, and is then folded into a dark chocolate shell that has been hand painted with the colors of the season. Available only through Thanksgiving.